Hello Linux Geeksters. 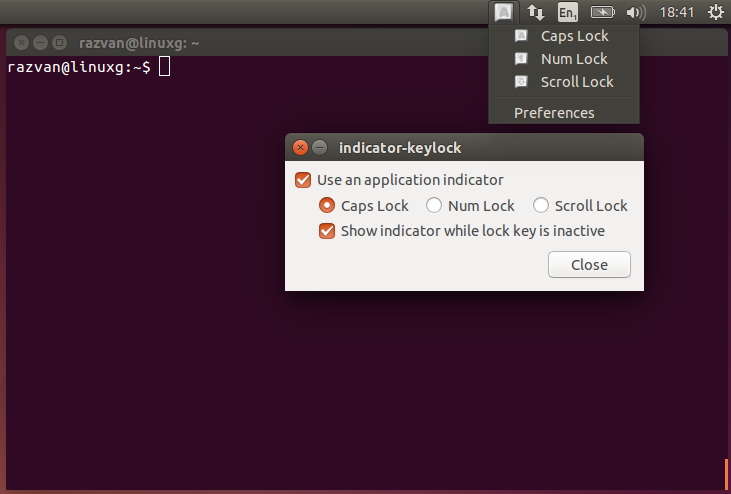 As you may know, Indicator Keylock is an applet for Ubuntu, compatible with Unity, Xfce, Gnome Shell and Gnome Classic, that notifies the user when the Caps lock is on. Also, it can be configured to notify the users if Num lock and Scroll lock are pressed. The latest version available is Indicator Keylock 3.0.1, which has been released a while ago. In this article I will show you how to install Indicator Keylock 3.0.1 on Ubuntu 14.04 Trusty Tahr, Ubuntu 13.10 Saucy Salamander, Ubuntu 12.04 Precise Pangolin, using GNOME, XFCE or Unity.